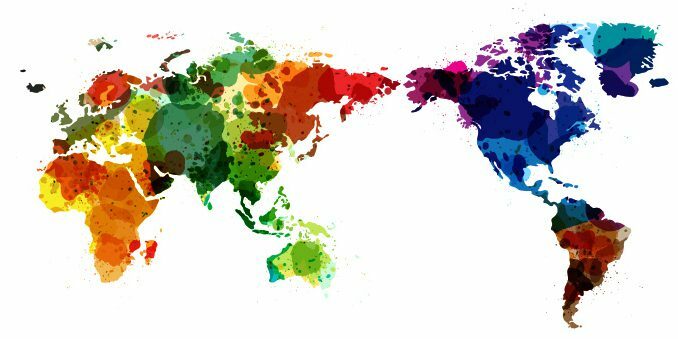 Localization, A Window to International Marketing Success - Niki's Int'l Ltd.
Any business wanting to extend their reach into international consumer markets has heard of the creative translation service known as localization. There is absolutely no way to go global without having your website as well as your marketing material undergo the process of localization. Localization takes a companies content including text, images, colors, functionality and overall aesthetic and modifies it to entice and attract linguistic and culturally diverse shoppers. Companies meet language, cultural and various other requirements of their specific target markets locale by investing in localization. Companies trying to expand without the aid of professional localization services tend to fall short in international marketers due to a lack in variations or adaptations to their current marketing materials. Languages and cultures differ significantly, a marketing campaign formulated and created for English speakers will not directly translate into other languages and that holds true for images, ideas and colors. If you’re wanting to attract international consumers, accommodations will have to be made by tailoring your marketing materials and website in order to appeal to the way your target market reads, writes and thinks. The internet allows people to shop for pretty much any item they want without ever having to step foot in an actual store. The popularity of shopping online is putting brick and mortar stores, slowly but surely out of business. Every sustaining business has a website and online platform they use to sell products, promote themselves and distribute information. The internet is a vast place and there are more than just English speakers surfing the web. Internet World Stats just updated information regarding internet usage according to continent on June, 30th 2018. These statistics show you the plethora of people all over the world who speak languages other than English, online and ready to buy your products, all you have to do is allow them to do so in a language they can read and understand. Common Sense Advisories report entitled, “Can’t Read, Won’t Buy,” explains a great deal of vital information regarding the purchasing habits of online shoppers. Language is an important factor to people who shop online, making large purchases without understanding the information regarding the product, payment information as well as shipping information simply will not happen. The following statistics exhibit just how critical language is when shopping online. 90% of online shoppers will choose their native language when offered on a website. 78% of online shoppers are more likely to buy from a site that allows them the option of reading content in their native language. 87% of online shoppers who do not speak or read English, do not make purchases on English only websites. 60% of consumers living in Japan and France will not make a purchase from a website that does not offer content in their native languages. 52% of online shoppers value being able to read content in their native language over lower price points. Common Sense Advisory conducted another report entitled, “The Language Services Market: 2018,” which stated the global market for outsourced language services and technology will reach $46.52 billion in 2018. CSA believes the language service industry will continue to grow and the market will increase to $56.18 billion by 2021. This rapid growth within the language service industry indicates business owners are welcoming diversity and finding solutions not only to facilitate communication but to substantially grow and profit from proper exposure in diverse markets. To ensure your website and marketing material successfully undergo the correct amount of localization, you must hire a professional language service company (LSC). Niki’s Int’l Ltd. is a professional LSC with over 20 years of experience in the field, they ensure your localization project is handled with superior quality and care. Their highly skilled translators work side-by-side with professional graphic artists, website designers and project managers to create a high quality, impactful website and marketing material that combines your vision with your target market’s local culture and language. If you’re wanting to market internationally you must start professional localization services, contact Niki’s Int’l Ltd. to begin your impactful and lucrative journey of cutting out your piece of the global pie.